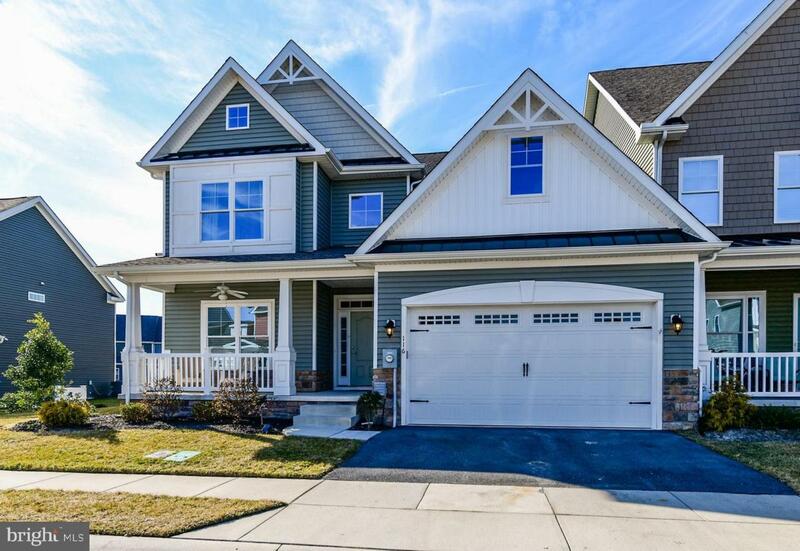 Enjoy all coastal Delaware has to offer with this amazing 4 bedroom, 3 bathroom, 3,000+ square foot pond-view villa built by the number one home builder in Sussex County for energy conservation. This amazing former "Frank" Model is filled with upgrades that make this home a must see including two owners suite with custom baths, soaring two-story vaulted ceilings with an abundance of natural light, morning room extension, energy star rated stainless steel appliances, customer trim and paint. The Broan Ultra Silent SmartSense Fresh Air System, super Low-E Double Hung windows, and advanced 2x6 framing along with insulated headers make this home the most energy efficient home on the market. Additional features include Engineered trusses w/energy heels and engineered flooring system, a two state air sealing w/3rd party performance testing & verification and superb sound insulation between units.